With over thirty years of experience in aircraft interiors, we know aviation upholstery fabrics. Our involvement over the years with Boeing, Douglas Aircraft, Airbus and Bombardier, as well as with numerous airlines has given us a broad knowledge of the interiors of a vast array of airlines. This experience with the aesthetic as well as the technical requirements and flammability specifications for commercial airline textile materials helps you to avoid certification issues when you select Spectra to help you with your aircraft soft goods needs. 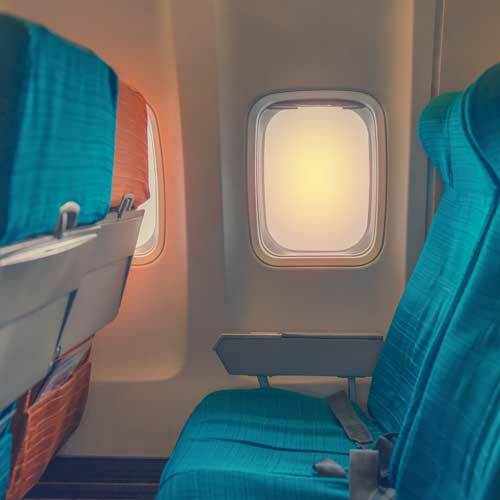 Since the late 1970’s most aircraft seating upholstery fabrics have been constructed of primarily wool yarns, usually blended with a small percentage of nylon fiber in the warp yarns to reduce yarn breaks during the weaving process. Wool fiber is inherently flame-resistant, can be colored with dyes that are highly fade-resistant. The protein fiber structure of wool “breathes”, offering a comfortable seating fabric that is cooler in summer and warmer in winter. Worsted wool yarns are strong, durable, and can be constructed into an infinite variety of patterns and colors to create a seating environment that is unique to any aircraft cabin design. Need to match an existing interior? We can provide you with an exact duplicate of your fabric. Just send us a full pattern repeat of the fabric you wish to reverse-engineer and we can replicate that pattern and color for you. Interested in a new look for your interior? We can show you a wide array of new fabrics from which you can develop an exciting décor for your aircraft. 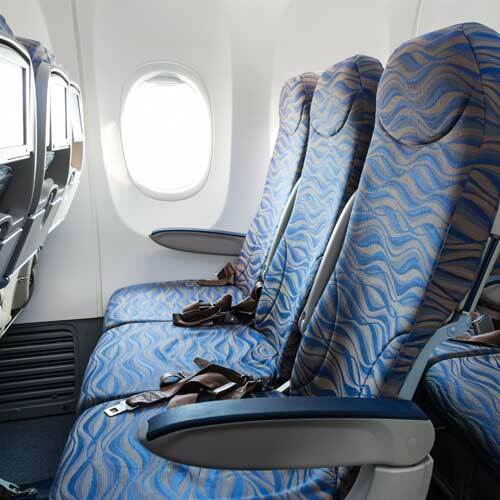 Do you have an urgent requirement for retrofitting a set of airplane seats? Call us for samples of our in-stock fabrics, or click the “View Swatches” links to the right to view swatches of our Legacy Collection and Speed of Flight Collection of aircraft fabrics. Many of today’s commercial airline seats are fitted with seat covers made from synthetic, or “faux”, leather. Spectra is proud to be the exclusive aerospace distributor of IZIT® Leather, produced by Willow Tex LLC. Premier synthetic leather seat covers are easier to clean, more durable, offer longer “new cover” appearance retention and have a much lower long-term cost of ownership than woven fabric covers. In a comparative evaluation by an independent test lab, IZIT® Leather (pronounced “is it”) was rated as the best overall performing synthetic leather of any faux leather in the aviation seating market. 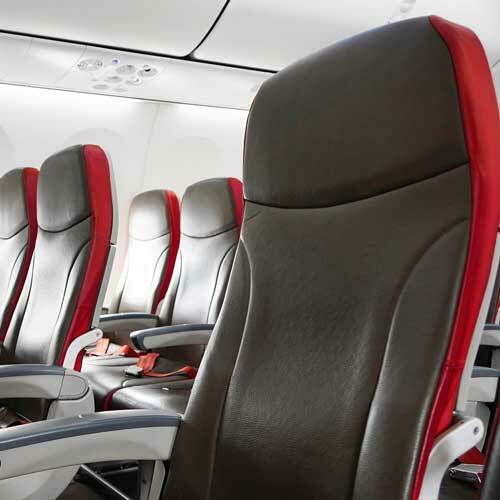 For more information about IZIT® Leather for aircraft seat covers, click here IZIT Leather. Whatever your upholstery fabric needs may be, reach out to us. We can assist you in developing an interior that is attractive, maintenance friendly, and easy on your budget. We’ve been doing this for over 30 years, and we will help you find what you need.